One employment lawyer says the annual bash can leave employers with an expensive lump of coal. Hosting a holiday party is a great way to thank your employees for their hard work and to celebrate your company’s successes in the last year. However, if a holiday party gets out of control or is not reflective of your workforce’s ethnic/cultural diversity it can create unforeseen liabilities, particularly where alcohol is involved. It may come as a surprise to some Employers that you can be legally responsible for the conduct of your employees during or after a holiday party. The not-so-recent amendments to the Occupational Health and Safety Act often referred to as Bill-168 formally made employers responsible for workplace violence and harassment. Did you know that the concept of “workplace” extends beyond the four walls of your office, store, plant, or warehouse? Employers are in fact responsible to maintain a safe and hazard-free environment when they host social events including the annual festive soiree. That means that under different theories of employment law, employers can be liable where their guests – whether or not they are employees – become unruly and engage in any violent or harassing conduct, including sexual harassment. Beyond the obvious health and safety considerations, employers also need to be careful that the functions they host or sanction do not discriminate against individuals or groups of employees on the bases of their cultures, ethnic backgrounds, faiths, or disabilities. Make sure your event is inclusive and accessible for all employees. the host exercises a public function or engages in a commercial enterprise. The Court’s decision suggests that employers are likely to be held to a higher standard than social hosts when alcohol is served at company-sponsored events. Employers are required to maintain a safe working environment for employees and are in more of a relationship of supervision or control with employees than mere social hosts might be. In addition to protecting their guests, employers may even have a duty to protect third parties who may be injured by intoxicated employees. Hold an alcohol-free event. This is the lowest-risk option for employers. Avoid serving alcohol if your event includes physical activities, or serve the alcohol after the physical event is completed. Have food available throughout the party, and accommodate diverse palates including for those with food allergies or sensitivities. 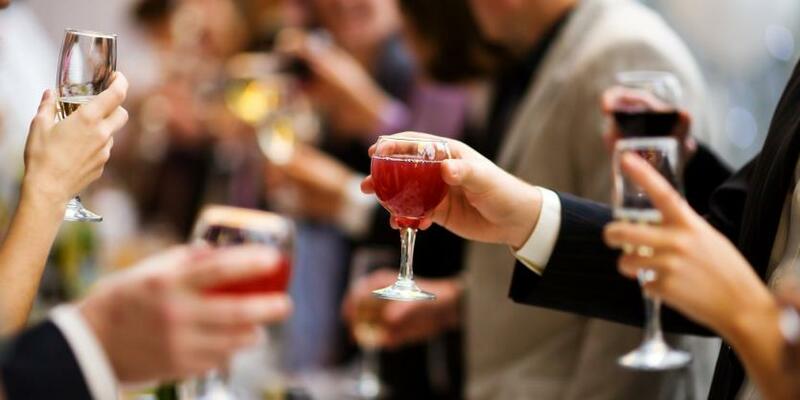 Stop serving alcoholic beverages at least an hour before the party is over. Be respectful of the different cultural and belief systems among your employees when planning your event. Make sure the date of your event, your menu and activities reflect your workforce’s religious, cultural, and ethnic diversity. Consider creating an electronic-free event, where use of cell phones and other mobile/recording devices are limited. This will help to ensure that your event and your employees don’t end up on social media. As employers start to plan their annual holiday events, now is the time to keep these tips top of mind in order to reduce the likelihood of human rights complaints, harassment allegations or claims for social host negligence if an employee ends up being seriously injured after leaving your event. A well-planned, inclusive holiday event will not only foster a positive climate in your workplace but will go a long way in reducing the chances of your company ending up with a costly lump of litigation in its Xmas stocking!